Congress president Rahul Gandhi has decided to contest from Wayanad in Kerala as a second Lok Sabha seat in addition to his Amethi constituency in Uttar Pradesh. He has acquiesced to a demand that emanated from Congress leaders in Kerala who feel that his presence will lift the party’s prospects in three States as Wayanad is at the tri-junction of Kerala, Karnataka and Tamil Nadu. In 2009, the Congress-led United Democratic Front (UDF) in Kerala had won 16 of the State’s 20 seats, and is looking to repeat the sweep in 2019. But the question is, why did Mr. Gandhi acquiesce to the demand of the Kerala unit of his party to contest from Wayanad even at the risk of jeopardising Opposition unity? One reason for choosing a seat in the south is that he enjoys significant popular support in the region. Also, this seat has been won by the Congress in the last two parliamentary elections, though with a reduced margin in 2014; it’s not exactly a safe seat but the chances of the Congress winning it would be high with Mr. Gandhi in the fray. Furthermore, the Congress claims that this is part of his outreach to south India. An important reason, however, is that the Congress depends heavily on the control of government for the consolidation of the party, so that when it is not in power, the party feels paralysed. The main goal in the circumstances is restoring the primacy of the Congress after its spectacular defeat in 2014. It seems alliances matter but not at the expense of its push to maximise its individual tally by building its own base. A series of other questions arise too. The Congress’s opponent in Wayanad is not the Bharatiya Janata Party (BJP), which has hardly any presence in Kerala, though the party is fielding a candidate from there. Its main opponent is a party in the Left Democratic Front (LDF), the Communist Party of India (CPI), which is in the forefront of the fight for a secular alternative to the ruling BJP-led National Democratic Alliance (NDA). True, the Congress-led UDF will be contesting all 20 seats in Kerala, but the Congress president pitting himself against the Left Front in one of these seats gives an impression that the Congress perceives the Left parties to be its main rivals, as much as the BJP, against whose candidate Mr. Gandhi is pitted in Amethi. We do not need cutting edge theory or psephological analysis to see that it’s a mistake for the Congress chief to contest from Wayanad in the context of what lies ahead in the 2019 elections. If the idea is to strengthen the Congress in south India, then Kerala is a curious choice because the party is already quite strong there. Even if we accept the argument that the Congress president going to Wayanad can have a ripple effect across neighbouring States, that purpose could have been served by contesting from Karnataka. In the past, Indira Gandhi chose Medak in Andhra Pradesh (now Telangana) and Sonia Gandhi chose Bellary in Karnataka as second seats. Kerala didn’t figure as an option. This has changed with Mr. Gandhi contesting from Kerala. By contesting from Kerala, Mr. Gandhi is sending a double-edged message: he would be supporting the southern States against any intrusion by an overpowering Centre, but he’s also opposing the Left, despite the priority to fight the Right in this critical election. This is complicated messaging, and is not the best way to differentiate between the BJP and the Congress. It actually dilutes the party’s aggressive stand against the BJP and undercuts Opposition unity, which is needed to prevent Hindutva forces from returning to power in 2019. For this, parties have to recognise that the primary fault-line is political mobilisation along religious lines promoted by the Hindu Right, which needs to be confronted. Mr. Gandhi’s candidacy in Wayanad does not counter this basic contradiction. It is useful to put this change of narrative in the historical context. Post-1991, the most progressive phase of the Congress was under the first United Progressive Alliance (UPA) government, from 2004-09, when it passed a slew of landmark rights legislations with the support of the Left parties inside and outside Parliament. The Left had a significant role in the formation of this alliance and its common minimum programme. However, the policy of welfarism that defined UPA-I began to wither away under UPA-II (2009-14) after the withdrawal of Left support in 2008, leaving the government free to pursue neoliberal economic policies. It is worth stressing that the UPA-I period when the two formations came together was undoubtedly good for the Congress, but it was also good for the Left parties. At a broader level, the coordination was conducive for growth, signalling that social welfare is not incompatible with economic growth. The decision of the Left Front to withdraw support from the UPA over differences on the India-U.S. civil nuclear deal ended this social compact, which hastened the Left’s decline, as it went down from 60-odd seats in 2004, to about 30 in 2009, and then to single digits in 2014. Mr. Gandhi’s Wayanad gamble complicates this further and could contribute to further erosion of the Left. It’s only in Kerala that the Left Front is actually in power, but here too there are fears that anti-incumbency could work against it. But even if the Left parties don’t win many seats in the elections, their support is crucial for the Congress’s redistributive politics as this paradigm shares a natural affinity with the Left and the multitude of people’s movements that have emerged across the country, particularly on issues of farmers’ and workers’ rights, joblessness, atrocities on Dalits, and against cow vigilantism and mob lynchings, even as the Congress often failed to raise its voice against the same. These demonstrations and protests have shaped the political discourse against the Narendra Modi government on the ground in the last five years. It is here that the interleaving of the Congress-Left narrative is to be located. The Wayanad decision marks a rupture in this narrative to some extent. Mr. Gandhi’s controversial decision has drawn sharp criticism from the Communist Party of India (Marxist)-led LDF, which is irked because the Left parties were counting on Kerala to make up for potential losses in West Bengal and Tripura. But a more judicious strategy, though counter-intuitive, would be to not get drawn into a bitter war of words over the Congress letdown. It is the time to try to take like-minded people and forces along, which has the additional advantage of pinning down the BJP to the extreme right of the political spectrum. The Congress too must avoid a vitriolic campaign against the Left Front and instead restate that it is a firm ally in the wider struggle to safeguard pluralist India against Hindutva majoritarianism in this watershed election. The party has taken the lead in attacking the BJP, which has catapulted it to the centre stage of opposition nationally, even as it aligns with regional parties in some States, and continues to battle others, as in West Bengal, Kerala and Uttar Pradesh. This contradiction is the central challenge of this election, which has complicated the emergence of even State-level alliances against the BJP because many parties that are opposed to it are also opposed to one another in the States. Given the exigencies of national politics, it is important for these parties to focus on cooperation so that they are able to form an alternative secular government, should the NDA fall short of an absolute majority on its own, which is not unlikely. As the campaign for the 2019 general election builds up, so too with the debate on electronic voting machines (EVMs) and Voter Verifiable Paper Audit Trails (VVPATs). 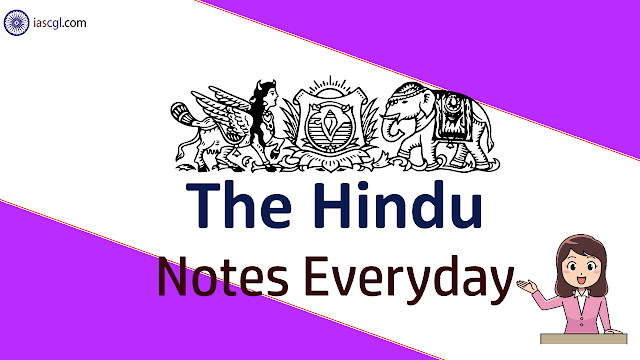 For example, as a result of a new development in the Nizamabad parliamentary constituency in Telangana, the Election Commission (EC) would have been forced to conduct elections using ballot papers — there are 185 candidates in the fray. This exceeds the capacity of an EVM, which can cater to 64 candidates (63 candidates and the None of the Above, or NOTA, option). The EC is now considering using special machines which can accommodate up to 384 candidates. These will use 24 ballot units connected in series. For this it will have to buy at an enormous cost 26,820 ballot units, 2,240 control units and 2,600 VVPATs. I wonder whether it is possible to acquire so many machines with technical changes in the short time available. In the past, in A.P. The use of ballot papers to conduct elections is not new; they were used in the same State in 2010 in a near comic situation. In July 2010, the Telangana agitation was at its peak, and 12 MLAs of the Andhra Pradesh Assembly had resigned and were contesting the by-elections. This coincided with the Bharatiya Janata Party-led anti EVM campaign. After the EC turned down the request of political parties to go back to paper ballots, the parties resorted to a smart ploy. The Telangana Rashtra Samithi (TRS) decided to field more than 64 candidates in each constituency. So, there were 114 nominations in Yellareddy (then in Nizamabad district and 107 in Sircilla. Even after large-scale rejection of nominations, the numbers in six constituencies exceeded 64. The EC was forced to conduct elections in these constituencies by ballot paper. The EC took it as a great opportunity to showcase the relative strength of EVMs. While the EVM results were available in four hours, the ballot paper results took 40 hours. Adding to this were thousands of invalid votes. The other issues were the economic and environmental costs of printing ballots and prolonged drudgery for polling staff. Ironically, the results from both systems across seats were similar. Where did the political parties stand then? A media report said the TRS opposed EVMs “because it [had] reliable information that the Congress [would] try to manipulate the machines to win the polls”. The Telugu Desam Party president N. Chandrababu Naidu demanded that ballot papers be used in all 12 constituencies. Bandaru Dattatreya, BJP president in then undivided Andhra Pradesh, said, “We have been demanding that there should be a nationwide debate on EVMs. The TRS has used the right strategy.” A Congress spokesman said it was unfortunate that the parties had doubted the EC’s integrity, forcing it to incur additional printing expenses. So, while the issue remains the same, the characters have changed. It is pertinent to point out that the difference between the 2010 incident and this time (in terms of the number of candidates) is that a large number of farmers are contesting as independent candidates to highlight their problems. It has nothing to do with an anti-EVM movement. Since the last general election, there have been allegations about the BJP hacking EVMs. The EC has repeatedly challenged conspiracy theorists to demonstrate that EVMs can be hacked but no party has accepted it. This debate should have ended in October 2010 when the EC called an all-party meeting which unanimously recommended the adoption of VVPATs, which was promptly accepted. The two factories manufacturing EVMs were asked to develop VVPATs, and an independent committee of professors from five Indian Institutes of Technology was requested to monitor the process. There were a series of trials, followed by two full-day election simulations in five cities across India (with different climatic conditions) in 2011-12. Only after the VVPATs passed all the rigorous tests (climatic endurance and technology) were they deployed, initially in 20,000 polling booths. As manufacturing progressed, all constituencies were equipped with VVPATs. In 2013, the Supreme Court lauded the EC’s initiatives, directing the government to release adequate funds for procurement for all booths for the 2019 elections. Since 2017, all elections have been held with VVPAT-attached EVMs. A total of 1,500 machines have been counted as per the present norm of counting slips generated by one VVPAT in each Assembly constituency. Not a single mismatch has been detected. The only pending issue is of VVPAT audits. As many as 23 Opposition parties have moved the Supreme Court demanding that half the total slips be tallied. A group of retired bureaucrats and diplomats has also written to the EC regarding the sample size to ensure 99.9% public satisfaction. The EC has submitted to the court that the three-member expert panel comprising members from the Indian Statistical Institute, the Chennai Mathematical Institute and the Central Statistics Office has endorsed the current practice of counting one VVPAT per Assembly constituency, and that the sample size proposed by political parties would only serve to delay results by six days. The judgment is expected soon. I have also proposed an alternative. The top two runners-up in the constituency can choose any two VVPATs to be counted as they have the highest stake in the results. This would serve to do away with a large sample, as only four machines per Assembly would have to be counted to ensure public faith in the system. This is on the analogy of the highly popular and successful Umpire Decision Review System in cricket. EVMs have made India a proud global leader in elections. After incorporating VVPATs, the system is now foolproof. After the expert panel report, the EC’s initiatives in this regard stand vindicated. It should now clinch the EVM debate and utilise the opportunity in the Nizamabad constituency to demonstrate the relative superiority of the EVM as the wonder machine of Indian democracy. The Congress party in its manifesto pledges to follow a ‘wealth and welfare’ approach if voted back to power. In an attempt to appeal to the poor without scaring away the rich, it promises to create wealth through promotion of private enterprise and expand welfare for the vulnerable sections of society at an unprecedented scale. An ambitious minimum income guarantee scheme is to directly transfer ₹6,000 a month to the poorest 20% households. The National Rural Employment Guarantee Scheme, introduced by the Congress-led United Progressive Alliance government in 2005, is to be expanded to ensure employment for 150 days instead of the 100 days now. The promised expansion of health care, education and housing has attracted a lot of public attention, but equally eye-catching is the manifesto’s approach to several other critical questions of public policy. While welfare schemes are an attempt by the Congress to reconstruct its lost public support on the basis of a renewed development agenda, the manifesto tries to address many current questions that impact Indian democracy. Defamation will only be a civil offence; provisions for charging people for sedition will be removed from the Indian Penal Code; and the Armed Forces (Special Powers) Act will be amended to address human rights concerns. The party promises to expand reservations to private educational institutions, an unfinished component of UPA-I’s agenda of OBC reservations in educational institutions. Congress leaders stress that this manifesto addresses the needs and aspirations of the marginalised sections of society. Election manifestos are important for political discussions ahead of elections, and for understanding the direction different political parties propose for the country. However, it must be kept in mind that parties overpromise ahead of elections, and the Congress must explain why it must not face that scepticism. Its manifesto has scant details about how its ambitious schemes will be funded. It is true that the Congress did deliver on many of the promises it made in 2004, though not entirely and to the full extent. Nonetheless, the Congress will do well to address follow-up questions on its schemes and their implementation. The manifesto has triggered a national debate on several issues that are close to people’s lives, and that is a welcome development. It has also prompted a fresh round of debate on broader topics such as India’s development path, the potential and limits of welfare and questions of fiscal discipline and revenue extraction. The Bharatiya Janata Party should join this debate on the merit in the Congress’s promises rather than use this as yet another opportunity to question the patriotism of its opponents. Details are inadequate, but the direction envisioned in the manifesto is encouraging. The Supreme Court order quashing a circular issued by the RBI on resolution of bad loans is a setback to the evolving process for debt resolution. The voiding of the February 12, 2018 circular could slow down and complicate the resolution process for loans aggregating to as much as ₹3.80 lakh crore across 70 large borrowers, according to data from the ratings agency ICRA. The circular had forced banks to recognise defaults by large borrowers with dues of over ₹2,000 crore within a day after an instalment fell due; and if not resolved within six months after that, they had no choice but to refer these accounts for resolution under the Insolvency and Bankruptcy Code. Mounting bad loans, which crossed 10% of all advances at that point, and the failure of existing schemes such as corporate debt restructuring, stressed asset resolution and the Scheme for Sustainable Structuring of Stressed Assets (S4A) to make a dent in resolving them formed the backdrop to this directive. The circular was aimed at breaking the nexus between banks and defaulters, both of whom were content to evergreen loans under available schemes. It introduced a certain credit discipline — banks had to recognise defaults immediately and attempt resolution within a six-month timeframe, while borrowers risked being dragged into the insolvency process and losing control of their enterprises if they did not regularise their accounts. RBI data prove the circular had begun to impact resolution positively. It is this credit discipline that risks being compromised now. It is not surprising that international ratings agency Moody’s has termed the development as “credit negative” for banks. It is true that the circular failed to take into account the peculiarities of specific industries or borrowers and came up with a one-size-fits-all approach. It is also true that not all borrowers were deliberate defaulters, and sectors such as power were laid low by externalities beyond the control of borrowers. The RBI could have addressed these concerns when banks and borrowers from these sectors brought these issues to its notice. By taking a hard line and refusing to heed representations, the RBI may only have harmed its own well-intentioned move. That said, it is now important for the central bank to ensure that the discipline in the system does not slacken. The bond market does not allow any leeway to borrowers in repayment, and there is no reason why bank loans should be any different. The RBI should study the judgment closely, and quickly reframe its guidelines so that they are within the framework of the powers available to it under the law. Else, the good work done in debt resolution in the last one year will be undone. Around half of us Indians were born after the Babri Masjid was torn down and millions were too young for the event to register. It takes an effort for the rest of us to remember the time before words like ‘shilanyas’, ‘pseudo-secularist’ and ‘Sangh Parivar’ entered common parlance. Even as Babri began to be stoked in the mid-1980s by the RSS-BJP and its polyp-groups, there were many real issues that occupied the public: the Khalistan movement, the Bhopal gas tragedy, AIDS, the Bofors case, computerisation, the impunity with which D.H. Ambani had bypassed governmental checks and balances on big business, the Mandal Commission report, the possible tessellations of various reservations, and the economic liberalisation that then Prime Minister Rajiv Gandhi wanted to bring in. Many of today’s challenges were present then: corruption, huge inequality, the dearth of proper education and universal healthcare, widespread unemployment, looming ecological disasters. There was ample room to challenge the Congress on these issues. There were many parties aiming for, if not a Congress-mukt India, at least a Congress-light one, which would be a happier, more egalitarian place. But the leaders of the RSS-BJP saw a different route to power: forget about education, healthcare, women’s rights, let’s put to boil Hindu pride in the pot of a Ram Mandir in Ayodhya, let’s twist genuine faith, appeal to the basest sentiments and see what happens. Despite the choices available, Mr. Advani and Mr. Joshi chose to gamble on relentlessly creating religious enmity and small and large-scale violence. They were cunning men who knew what they were doing. The Ram Mandir ‘issue’ was indeed a gamble but it was a calculated one: the RSS-BJP and the Vishwa Hindu Parishad knew the Congress was riven with squabbling and that its secularism was shaky (Mr. Advani’s barb about pseudo-secularists was a precise arrow into the heart of Congress hypocrisy); they knew the growing regional parties had little concern for the well-being of the nation as a whole. They sensed that a disaffected, jobless mass of male youth, at least in central and north India, was a tinder keg that could be ignited with the touchpaper of communalism and the targeting of the minority communities as the ‘enemy’. Long-honed instincts told them their pseudo-Hinduism had a strong chance of defeating the Congress’s pseudo-secularism, at least in the so-called cow belt. Most importantly, these men knew fully well that their ‘rath-yatras’ and their carting of ‘consecrated’ bricks to Ayodhya would lead to a bloodbath. Not only did they know it — the very success of their gamble depended on violence ensuing, on large parts of the country tearing along communal lines. After the demolition of the Babri Masjid this is exactly what happened. In case there is any amnesia or unfamiliarity, let’s not forget that Mr. Advani and Mr. Joshi had passionate and vociferous support from a second rank that included not only Ashok Singhal, K.N. Govindacharya, Uma Bharti, Sadhvi Rithambara and Jaswant Singh but also Yashwant Sinha, Shatrughan Sinha and Arun Shourie, gentlemen who today seem to be having such severe problems with the monster they helped incubate and nourish. Below these tiers you had the organisers, including Narendra Modi and Pravin Togadia, with even younger people like Manohar Parrikar travelling to Ayodhya as a kar sevak. There might be some differences between the current BJP bosses and the duo so unceremoniously consigned to the knacker’s yard, but it’s useful to note that the differences are of degree and style, not substance. The first tampering with school textbooks and the initial orange assault on cultural and educational institutions was under Human Resource Development Minister Joshi. Likewise, Deputy Prime Minister Advani too pushed the majoritarian agenda as much as he could, but within the constraints of a coalition. Vajpayee’s and Mr. Advani’s masks of democratic civility fell off after the clearly pre-planned anti-minority Gujarat pogrom of 2002. The chancers at the top had to deal with an even bigger chancer in Mr. Modi. Vajpayee may have tried to remove Mr. Modi as Chief Minister because of the Gujarat riots, but Mr. Advani defended Mr. Modi and Vajpayee chickened out. It is a fleeting consolation to realise that Mr. Advani might have, at that precise moment, sown the seeds of his own unseating by a protege even more mendacious than himself. It provides only the most superficial of gratifications to see Mr. Advani and Mr. Joshi being sent off to their enforced sanyaas, their edacity for position and power forever unfulfilled. Any sense of elation at historical justice being finally delivered is quickly tempered by remembering the horrors these two men inflicted upon the country when in their prime, horrors that, far from being over, are alive and enlarged as never before. The Lokpal and Lokayuktas Act, 2013 is complicated. This could perhaps not be avoided, given that what was being attempted was a new and bold experiment to pull the anti-corruption campaign out of oblivion. This law was badly needed, if only to lend a modicum of credibility to the process of enhancing the accountability of those in high places, who were cocking a snook at all efforts to demonstrate to the world that India is not second to any other nation in making its public administration clean and fair. Surprisingly, the appointment of India’s first Lokpal has not been received with great excitement. The preoccupation with the general election of all those likely to be affected by the Act may perhaps explain the apathy. Nevertheless, the working of the Act may be expected to be closely followed in the months to come, both by the polity and the legal fraternity, which is how it ought to be in a vibrant democracy. The corruption of public servants in India has become such a menace that something drastically new had to be tried, and appointing the Lokpal at least partially meets this crying need. There is guarded optimism in a few quarters, and considerable cynicism in others, over the likely efficacy of the Lokpal. However, any high expectations that the new mechanism against corruption will measurably transform the scene seem misplaced. There are now three principal actors at the national level in the fight against graft: the Lokpal, the Central Vigilance Commission (CVC), and the Central Bureau of Investigation (CBI). Some people have misgivings over the independence of the Lokpal. They wonder how it will work with the other two so that the objective of cleansing public life is achieved with reasonable satisfaction. Some critics allege that the Lokpal’s composition was dictated solely by the establishment led by the Prime Minister. But what about the Chief Justice of India, or his nominee, another important member of the Selection Committee? Casting aspersions on the neutrality of the highest judicial authority in the country is unacceptable unless one can prove with reasonable material that he acted in a biased manner in choosing the first Lokpal. The decision of the ‘special invitee’ to stay away from the process on the ground that he was a mere invitee and not a full-fledged member of the Selection Committee is regrettable. The accusation that the process of selection of the Lokpal was not transparent falls flat if someone in the Opposition abstains from participating in the Committee’s decision and denies himself and the nation the chance of knowing and evaluating how open-minded or not the other members were in choosing the members and chairperson of the Lokpal. To my mind, what is worrying is how well the CVC and CBI are going to play a complementary role in upholding the objective for which the Lokpal has been appointed. The Lokpal has jurisdiction over Group A and B public servants. This does not deprive the CBI of its own jurisdiction over these two groups. The Lokpal Act permits using the CBI (referred to by the Act as the Delhi Special Police Establishment, from which the CBI was born) for examining a complaint against a public servant for misconduct. Although the Lokpal has its own Inquiry Wing, it can nevertheless forward a complaint to the CBI for a preliminary inquiry, and thereafter for registering a regular case under the Prevention of Corruption Act, 1988. It is not clear what happens when such a complaint is already being inquired into by the CBI. Legally speaking, the government, in addition to the Lokpal, is competent to order a preliminary inquiry and permit the CBI to proceed with a regular case. What is also to be remembered is that the CBI can register a case even without the government’s nod in instances in which a public servant is caught red-handed while receiving a bribe. If an individual lodges a complaint with the government and the Lokpal, what should the Lokpal do? Does it have the authority to give direction to the CBI to keep its hands off the matter and wait for the Lokpal’s own Inquiry Wing to handle the matter? The Act creates a Prosecution Wing exclusively for the Lokpal. How will that body coordinate with the CBI’s Director of Prosecution in respect of a matter handled by both of them? It is a common practice for complainants in India to dash off their complaints to a host of agencies. There is a distinct prospect of a clash between the government (which has greater powers of superintendence over the CBI than the Lokpal) and the Lokpal over a wide spectrum of issues. The Act gives the impression that superintendency over the CBI is shared by the Lokpal and the government, and neither is in exclusive command of the former. Can the Lokpal order the CBI to suspend its inquiry in respect of a complaint and report on it to the exclusion of the government? The initial days are going to be difficult in terms of coordination. Everything will depend on how well the Lokpal and the government sink their egos and concentrate on the fundamental objective of striking at corruption without getting bogged down by technicalities. All these imponderables, however, do not reduce the utility of a highly placed ombudsman. It may finally boil down to Justice Ghose’s perception of what his role is. He can certainly shape the future of this experiment. There are many legitimate questions about the Congress’s Nyuntam Aay Yojana (NYAY) scheme, which promises to transfer ₹72,000 annually to 20% of families in the poorest of the poor category. But the fundamental soundness of the idea should not be in doubt. Evidence from dozens of cash transfer programmes around the world speaks resoundingly in favour of such schemes as a tool for sustainable poverty alleviation. Evaluations of cash transfers show that they usually lead to large increases in household consumption, improve health and education outcomes for beneficiaries and their children, and improve women’s agency and empowerment when paid to women. At the same time, common fears, such as that money will be squandered on alcohol or cigarettes, turn out to be largely unfounded. Neither does handing money to the poor make them reluctant to work or be entrepreneurial. Rather, behavioural economists have found that poverty itself makes it harder for people to do things like plan for a future beyond immediate survival. It’s hard to be ambitious on an empty stomach. By freeing people’s minds from having to fret about their next meal, a cash transfer can enable entrepreneurship or more productive employment. In fact, ideas from behavioural economics are increasingly being used to magnify the already positive effects of giving people cash. In Morocco, MIT economist Esther Duflo and her colleagues found that simply ‘labelling’ a cash transfer as an education transfer can push up school participation. In ongoing research with the World Bank and the governments of Madagascar, Kenya, Ghana, and Tanzania, my colleagues and I are exploring whether it is possible to use the ‘mental space’ that an infusion of cash enables to help beneficiaries use the money they get more productively. In Madagascar, we asked recipients to develop a plan for how they would use the cash transfer amounts to further their goals. Eighteen months on, those who received this ‘nudge’ were more food secure, more likely to have invested in livestock, and had higher cash-crop incomes. In another study in Madagascar, we found that helping people visualise how much they needed to save for a goal (example, a new milch cow) and giving them a pouch to set money aside for it increased saving. These designs are now being adapted and piloted in Kenya and Tanzania. By helping parents invest in the next generation, cash transfers strike at the heart of persistent poverty. Incorporating small behavioural interventions makes the money go even further. If a programme like NYAY takes experimentation, design and evidence seriously, its impact on the lives of India’s poor could be transformative.